Facebook takes a similar approach to most other online advertising networks. They don’t give you a set quote for a price when you want to advertise on their platform. Instead, you will find the cost of your Facebook ads will vary, depending on a range of factors. 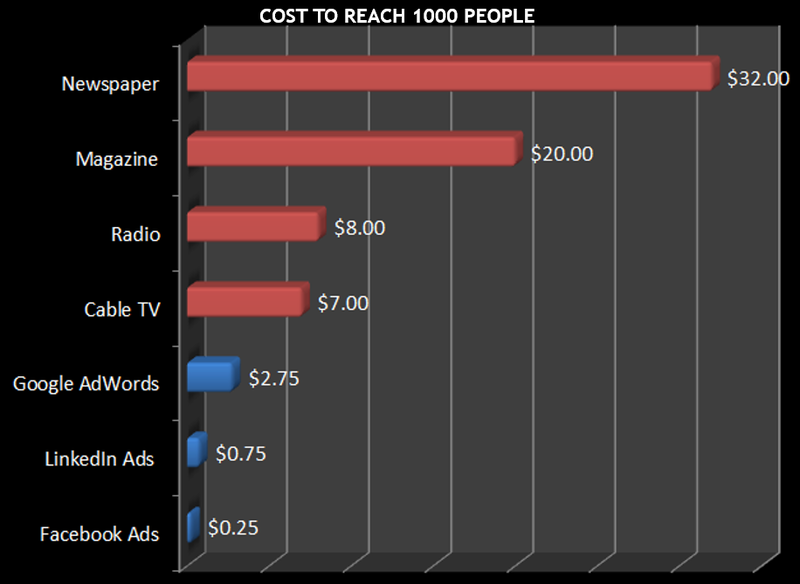 Moz provides some eye-opening statistics on the comparative costs of reaching people via different types of media. Although the 2014 figures are now a little dated, they still give an accurate picture of where Facebook advertising costs come compared to the competition. We recently presented an overview of How Much do YouTube Ads Cost? If you want to advertise on YouTube, you need to set a budget, and then bid for advertising spots. In many ways, advertising on Facebook works similarly. 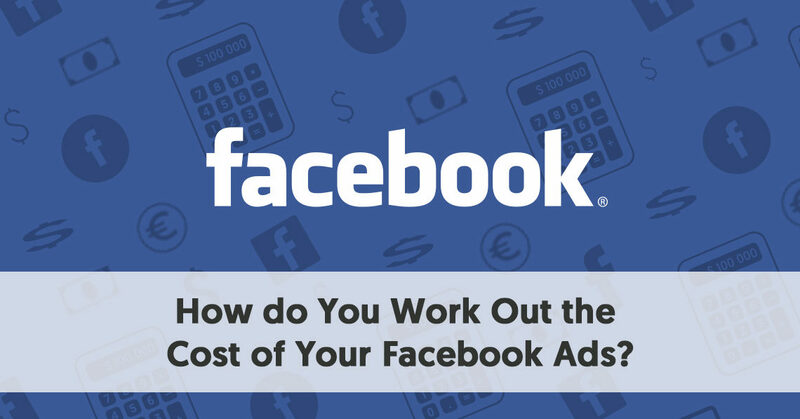 Technically, therefore, the cost of your Facebook ads will be the amount you are willing to spend. It is not so much a case of how much it will cost you to advertise, as it is, how many ads will you get for your money? Of course, if you bid too low, your will be unable to spend your entire budget, because there will always be somebody willing to pay more than you. There is only so much space in people’s Facebook feeds to include ads and sponsored posts. This is particularly so for competitive keyword terms. As a result, Facebook operates an auction system, where potential advertisers set bids to win the right to run their advertising campaigns. Hence, there is no set cost of running Facebook ads. It all depends on who else wants to advertise. You begin the process by setting a daily budget. This is important. Without it, you would be in danger of finding a successful campaign could cost you far more than you can afford. You also choose whether you want to start your campaign today and run it continuously, or whether you want to run a campaign between set start and end dates. Facebook does not just give advertising space to the highest bidder. It wants to ensure that their users still enjoy the best experience. Therefore Facebook selects winning bids based on ads they believe give the most overall value. It balances advertisers reaching people receptive to their message, with users who would be interested in seeing that message. There are billions of ad auctions happening behind the scenes on Facebook every day. Indeed there is an auction occurring every time somebody opens their feed. Facebook weighs up all of the competing bids for a slot and selects the ad it believes provides the best value to the targeted user. Facebook scores each ad, based on these factors. They give the advertising slots on any feed to those ads with the highest scores. This means that you do not have to have the highest bid to win a slot for your ads. They just have to be right for the audience. If your ad ends up with the top score for a slot, Facebook will base what they charge you on what everybody was bidding. This means that you won’t necessarily have to pay your maximum bid amount. When you set your bid amount, you can either select to make the process Automatic or Manual. If you opt for Automatic, Facebook selects the bid that helps you gain the most ad slots at the best price. This means that Facebook attempts to spend your total budgeted amount, with the aim of maximizing your results. You can opt for manual if you prefer to set a limit on how much you’re willing to pay for individual results. For instance, you could limit your bidding to $4 per click. Remember if you set a very high manual limit, you are unlikely to end up paying that amount. Facebook adjusts the auction to ensure that the winning bidder pays no more than they have to. There is no point trying to push your ads to everybody. No matter what your product is, there will always be some people more relevant to your campaign than others. Even big corporates like MacDonald’s limit their ad targeting to the types of people who are most like their typical customers. Also, you need to realize that you will have considerable competition in some niches. The more competition you face, the higher the ad cost will be. You can pay rates like $50 for particular legal-related terms. The broader your customer net, the more firms, of different types, you compete with you for advertising slots. Of course, target audience is a critical factor when it comes to your advertising, There is little point in advertising to a cheaper, but irrelevant audience, if you believe your best market is too expensive to target. Think of those “in your face,” shouted, annoying ads you often have to endure on television. They annoy you there, but there is little you can do about it apart from changing the channel from the program you want to watch. Things are different online. If Facebook bombards you with annoying low-quality ads, you can shut Facebook down and move to another webpage with little thought or concern. Facebook does not want that. So they discourage ads that they consider to be of poor quality. Facebook doesn’t ban poor ads outright, but it adds a cost premium, lowering their weight in the Facebook ad bidding process. Facebook gives you a Relevance Score of between 1 and 10 for every ad you run. This is a guide as to how relevant it believes your ad is for the targeted audience (10 being highly relevant). The higher your relevance score, the lower the cost you will face to place your ad. 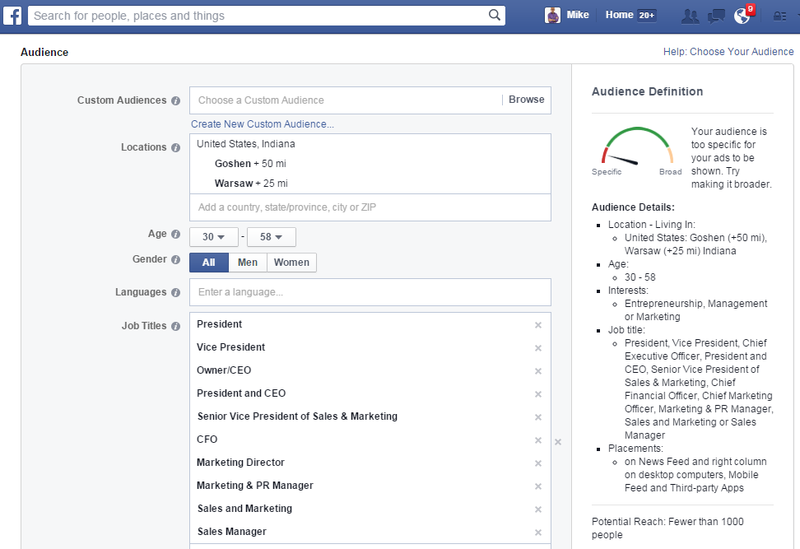 You can see your Relevance Score in your Facebook Ads Manager. It is worth taking note of this, to give you a guide to help you improve your ads in the future. Your relevance score is fluid. It changes whenever people interact in either a positive or negative way with your ad. Click-through rate also affects your relevance. The more people click on your ad, as a proportion of impressions, the more Facebook considers your ad relevant to your audience. Facebook creates an Estimated Action Rate. This is their best guess of the likelihood that a particular person will take the action you are optimizing for with your ad. When Facebook tries to decide how relevant your ad would be to a particular person, it looks at that person’s past behavior. 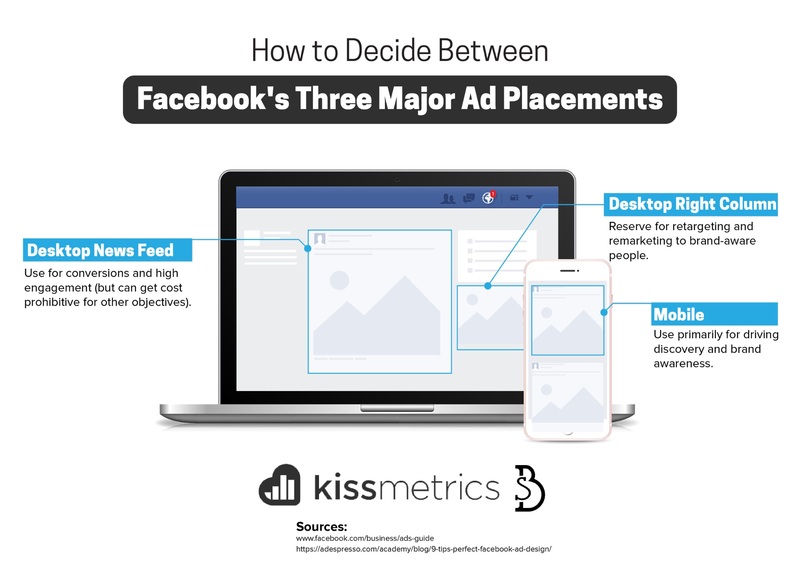 For instance, if your aim is for a person to click on your ad, Facebook analyzes people to see if they have clicked on ads like yours in the past. Sometimes the cost of your Facebook advertising will depend on the behavior of others. There are times of year when there is a massive demand by firms to place advertisements on Facebook. Conversely, there are quiet times of the year. Like all advertising markets, the cost of advertising will rise in the times of peak demand, and fall in the quiet moment when Facebook wants to encourage advertisers. These would typically be similar to your business’ seasonal times. Your peak sales times, will most likely also be peak sales times for your competitors. Therefore, you will all want to advertise at the same time. You will, of course, want to ensure that your audience uses Instagram and Messenger before you agree to your ads being placed there. Facebook gives you the opportunity to focus your campaign on some common optimizations. Each of these automatically optimizes your campaign for a particular bidding option and targets. Link Clicks to Your Website – Facebook selects people they believe are most likely to click through to your website. They charge CPC. Daily Unique Reach – Facebook focuses on delivering your ads to people up to once per day – charging you in CPM. When it comes to determining how “good” or “bad” the cost of your Facebook ads are, you need to look at your return on investment (ROI) and cost per action (CPA). This assumes you have the cash flow to pay your Facebook ad bills, which is where your budget figure needs to be realistic and manageable. For an ad to be effective, the ROI needs to be higher than the CPA. Suppose your ads send people to a landing page, where they buy your product. Obviously, you need the additional sales made via that landing page to exceed the cost of the Facebook ads that send them to the landing page. The more you can do to lower the cost of your ads the higher your ROI should be. In many cases, though, a Facebook advertising campaign targets higher up the funnel, rather than trying to make sales. In this case, it can be trickier to determine the “income” generated by an ad. You should be more interested in your “Social ROI” – the amount of social engagement you get from your ad in relation to your investment. Naturally, every firm will have a different level of Social ROI they consider to be acceptable. Perhaps the easiest way is to compare the Social ROI from one campaign with the Social ROI from a previous campaign. For instance, you might pay $100 for a campaign. As a result, people may give you 120 likes, 50 comments, and 30 shares. In this case, you receive 200 engagements for your $100, a Social ROI of 50 cents. Of course, you may consider some types of engagement more valuable than others, and weight them accordingly in your calculations. AD Espresso analyzed a significant amount of data in 2016 to see what businesses were paying for their Facebook advertising. They included the data in their ebook, FB Ads Cost: 2016 Benchmarks. It is important to observe that there was considerable variation in some of these statistics between AdEspresso’s Q3 2016 and Q4 2016 results, suggesting that Facebook ad costs vary greatly over time.